Steve is an engineer with over 30 years' waste management experience in waste and recycling processing, transport and operations, infrastructure development & construction, expert witness work and bidding and winning PFI/PPP tenders. He has delivered a number of major waste recycling and treatment infrastructure projects and has expertise in engineering, procurement, asset management and project management. Joining us from Viridor, Steve has previously worked for Veolia, Cleanaway, Biffa and Navigant Consulting. Steve is looking forward to working with the SLR team to support clients who want to build new facilities and optimise existing ones. 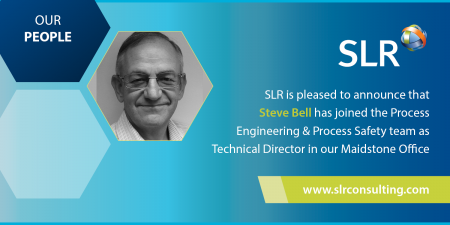 The waste management and recycling industry face a number of major challenges and SLR, with Steve’s support, is ideally placed to help deliver change at all levels.